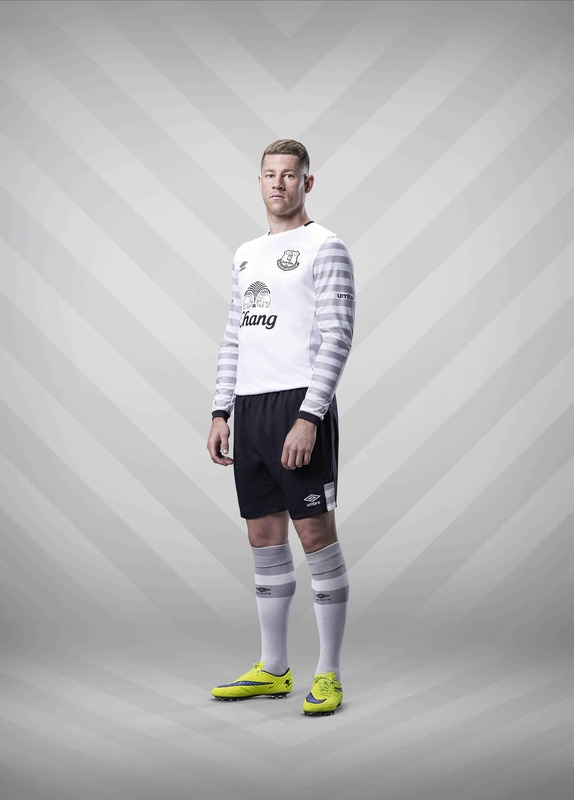 Today, the Club have issued additional information – along with pictures of Barkley and Lukaku modelling the kit. Everton have revealed the new away kit for the 2015/16 season, which the team will wear for the first time on Saturday, July 18 in the Barclays Asia Trophy in Singapore. 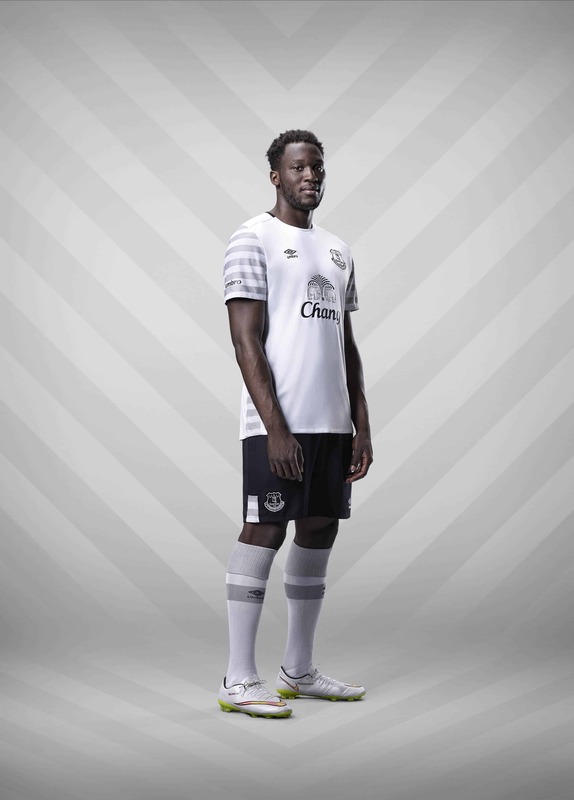 The new kit, designed by Umbro, comprises of a white crew-neck shirt with grey detailing, black shorts and white socks. The reverse of the away shirt, like the home shirt, carries an ‘NSNO’ insignia on the back of the neck area, a reference to the Club’s ‘Nil Satis Nisi Optimum’ motto. The new lightweight away shirt is predominantly white with eye-catching grey graphic detailing on the sleeves and side panel areas. It is constructed using highly technical performance materials, including a lightweight textured mesh on the back of the shirt for maximum ventilation. Shaped mesh underarm panels offer maximum fit and movement. The black shorts feature contrast grey panelling for an eye-catching look, together with a mesh back panel for comfort, movement, and breathability. Double welt socks in white with a grey hoop and trim complete the strip. The new away kit is available to pre-order from evertondirect.com and Everton One and Everton Two from today, July 14, and will go on sale on Wednesday, July 29, both in-store and online. The kit is available in the full range of sizes for men, women, juniors, infants and babies.